Regardless of the weather and season, we can always count on Estee Lauder to bring fashion-forward and unique beauty collections. Now, the luxurious label is making sure that we look spectacular from head to toe in the upcoming cold season by releasing a new line of to-die-for nail polish colors. Filled with luxurious, sparkling autumnal shades, the latest Estee Lauder Pure Color Nail Lacquer Beyond Black and Metal Mania collections for fall 2012 strive to add color to your fingertips during the gloomy days. For the new Estee Lauder fall 2012 Pure Color Nail Lacquer collections, creative makeup director Tom Pecheux drew inspiration from the City of Lights at night. The result is a series of opulent, lust-worthy tones, which perfectly reflect the ‘naughty side of Paris’. The collections are designed especially for bold fashionisers, who love to be always in the center of attention. 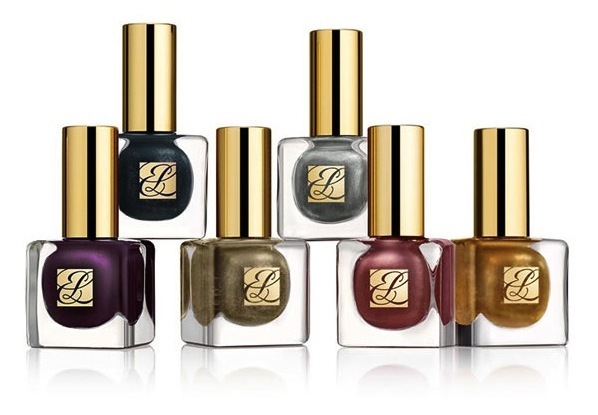 The new Estee Lauder fall 2012 Pure Color Nail Lacquer collections are already available at Estee Lauder counters and online, as well as at Normstrom. Each mani retails for $20.